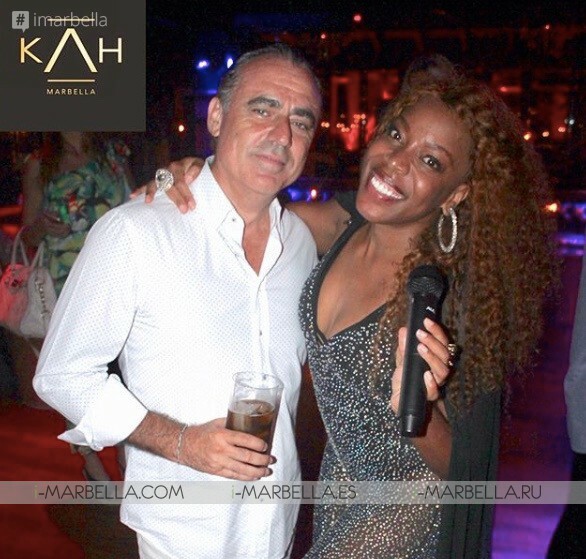 Once again our Cuba-Marbella Diva Yanela Brooks is the center of attention, this time at Kah Marbella where on August 9th, 2018 with celebrities like Manuel Santana, Manuel Díaz "El Cordobés", Ivonne Reyes, Javier Tudela and DMontoya. Yanela started her European tour 2018. Ivon Reyes; a Venezuelan actress, model, and TV presenter who was assisted to the after party, Supermodel and actress Makoke, known for Esposados (2013), Javier Tudela who is the son of Makoke famous actress, he's a young actor and model and José Carlos Montoya, known as DMontoya a Spanish flamenco legend who was also invited to perform with our Cuban queen Yanela Brooks at her magnificent concert in Marbella. Yanela shared on her Instagram a few moments of the exclusive concert that was held at Kah Marbella, one of the finest restaurants and clubs in the city that include three different spaces combining luxurious surroundings with both fun and chilled settings with tasty food and uplifting music, this night under the wonderful presentation of the talented Yanela Brooks. ''Thanks to my beloved friend Jose Manuel Parada, Antique Disco and superb Flamenco guitarist #flamenco Juan Carlos Montoya for sharing their unique talent in my show, I am very excited about our projects together!''. Yanela sang Manolo Santana's favorite song sharing on Instagram ''Singing a favorite song to my friend and master Manolo Santana, The best of Spanish Tennis history, very happy to have you in my concert in Marbella, I love you and you, Claudia Rodriguez''. Yanela Brooks has been baptized the Diva of Disco by her fans on the Costa del Sol. 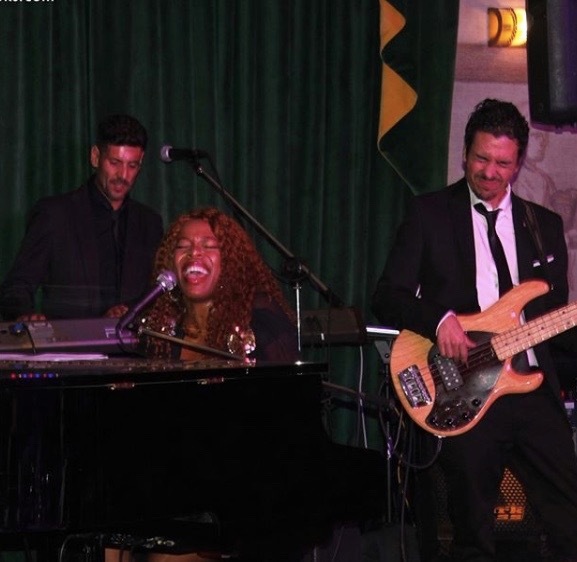 Yanela Brooks has officially started on August 9, her International Tour promoting her breathtaking new single record "Cubanos Por El Mundo" (Cubans Around the World) showing off the world her roots and promoting Cuban culture around the world. We hope no more than success and good luck in her career. Yanela is a highly versatile singer and composer with the unique brand of mixing classic international styles such as jazz, rock and pop with Cuban son and Bolero rhythms which stands out for the passion she always shows towards her Latin roots while giving her an amazing advantage due to the strength of her voice and language versatility. She was born in Cuba to a family of musicians and got into the world of music and entertainment at a young age. 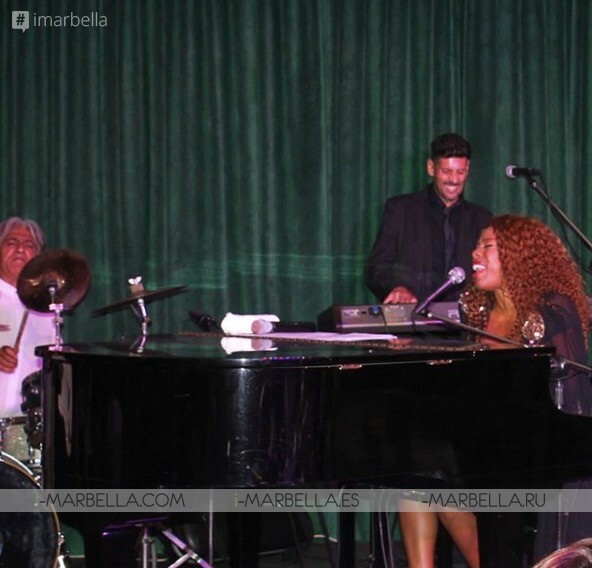 early on her career, she was taken out to Spain as a singer where she had the opportunity to gig her life and connect with a lot of people of Andalucia where she fell in love with the city of Marbella.